Ten years ago, Borderlands felt like a breath of fresh air. It stood apart from the games that were chasing Call of Duty’s shadow by channelling Diablo more than Desert Storm. 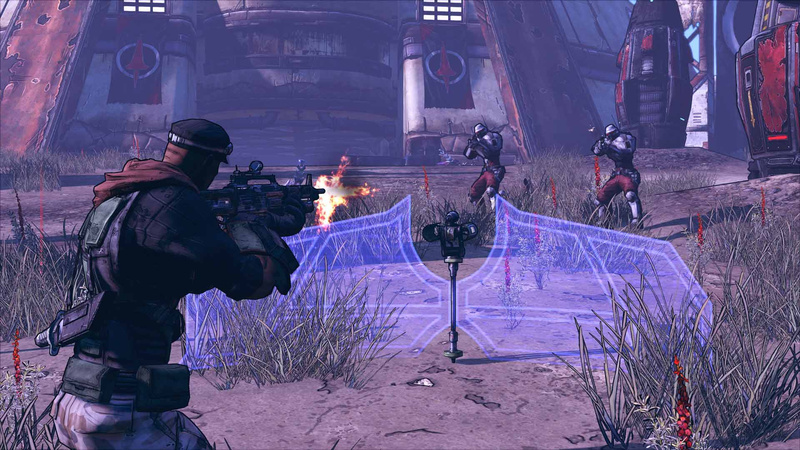 Its signature loot mechanic became a selling point, but Borderlands always offered more than that. It was funny, charming, and wholly unique. And in a world now full of loot-shooter titles, what better way to prepare us for the impending Borderlands 3 than with a trip back to where it all began? 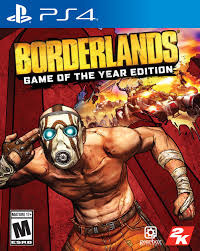 It feels strange to refer to Borderlands: Game of the Year Edition by that title. It's cheeky, as indicative of the tongue-in-cheek nature of the series as anything you’ll find in the game itself. We suppose we shouldn’t be surprised – this is a franchise with an entry titled The Pre-Sequel, after all. Borderlands has never been an ugly game, because its commitment to its aesthetic has always been uncompromising. Playing in 2019, the cel-shaded visuals are accented more by defined outlines on characters, while colours feel boosted thanks to HDR. These are small changes, but in a game that looks like a comic book come to life, it makes it feel refreshing again – like seeing an old favourite through fresh eyes. On the PS4 Pro, its 4K visuals and buttery smooth frame rate combine to make this feel like the best way to play Borderlands on a console. Gone are the PlayStation 3-era jitters when there are too many enemies on screen, and gone is the screen tearing. Pandora is a desolate place, even today, but these improvements make it feel that little bit more inviting. Exploring the harsh wilderness and earning more and more weapons and skills is made infinitely more enjoyable than in any of Borderlands’ contemporaries by the sheer comedic talent on display. Between slapstick humour, innuendos, and your loudmouth friend Claptrap’s sheer irreverence, Borderlands is a very funny game. The writing, art style, and animation coalesce to bombard the player with entertainment. There are plenty of things to do, too – this edition includes four DLC expansions, each with its own theme, story, characters, and, yes, loot. Explore you will, of course, as Borderlands still brings the boom in a way similar titles can only dream of. There are almost too many weapons to play with, each with their own stats, perks, and unique designs. It helps that gunplay still feels fantastic, a mix of fast-paced, cartoony action and more traditional aiming down the sights. From pistols that light enemies on fire to explosive shotguns, the variety is staggering. Just as you’re getting comfortable with one firearm, it’s time to switch it up for something new, and loot is thrown your way on a consistent basis to the point where you’re almost always swimming in choice. There are even new weapons – just in case you’d seen all of them by now. Thankfully, managing your arsenal is considerably easier now than it was a decade ago. Gearbox has added new tricks, including marking multiple items as junk and locking favourites to allow players to more quickly get back to shooting stuff. Those aren’t the only tweaks here, as players now have access to a mini-map (the lack of which was a bit of a hindrance when exploring Pandora the first time), and the ability to pick up ammunition, cash, and health without pressing a button feels like a huge time-saver. The strangest addition is the inclusion of custom choices of head for your character, which seems odd in a first-person shooter but gives your friends something to look at – plus, giving Brick a Bane-esque mask feels strangely apt in this world of pure chaos. It’s in playing with friends that Borderlands: Game Of The Year Edition reveals its party trick: four-player co-op. 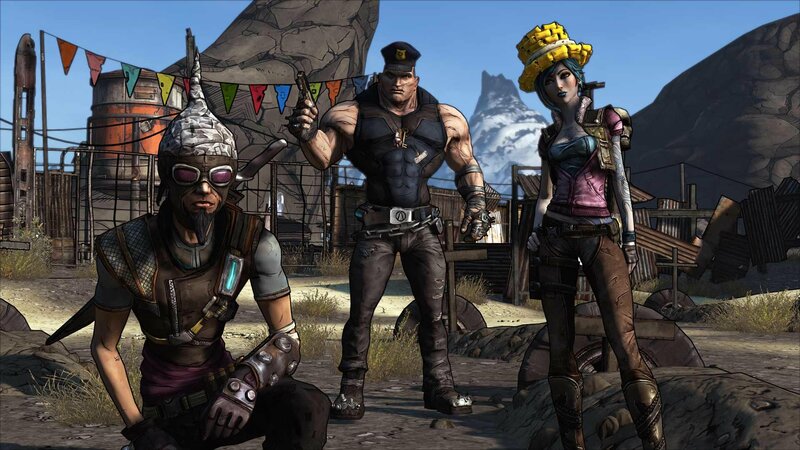 Put simply, this is the way Borderlands should be played, allowing for each player to pick one of the four character classes. Not only can it be played online, but it runs surprisingly well in split-screen multiplayer, too – remember split-screen? Once everyone has invested in their skill trees, it becomes a cacophonous stream of explosions, new gear, and devising new strategies. Not every addition is a positive one, however. The game’s much maligned final boss, The Destroyer, has gone from an underwhelming bullet sponge to a laughably simple “shoot the weak spot” encounter that can be overcome within a couple of minutes. 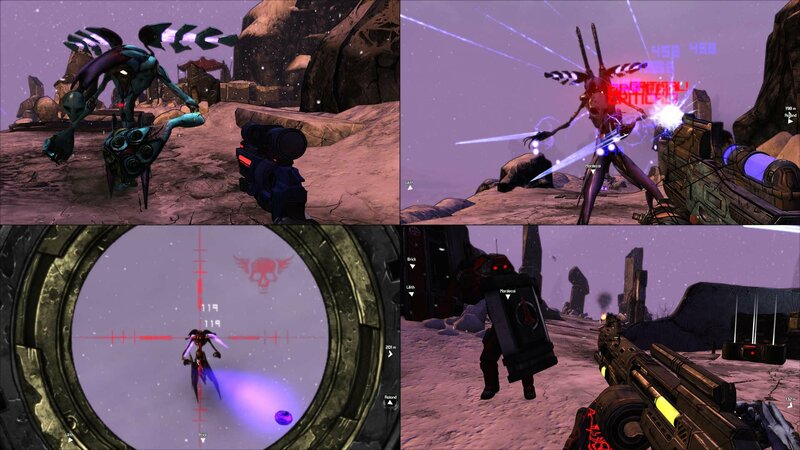 Perhaps this is Gearbox’s punchline – we complained that the boss was too tough to kill, so it's “nerfed” it. There are also some relics of the past that we could've done without. The map is much better than the previous compass system, but following waypoints still remains a trial-and-error process. Enemy spawning is erratic, and leaving the early-game location of Fyrestone seems to spawn enemies from a "monster closet" of sorts. These are frustrating, yes, but do little to sour what is otherwise a very impressive re-release. Between Borderlands: Game of the Year Edition and the updates to the Handsome Collection, Borderlands is back in a big way, and that’s to say nothing of the main attraction coming in September. Unlike more recent entries in this space, Borderlands doesn’t hinge on fragile in-game economies or being stingy with loot. Instead, it's a game that just wants to have fun – silly, brash, play-it-with-friends kind of fun. Welcome back old friend, you have been missed. Shooting, looting, and football booting, Lloyd is our newest recruit. A pop-punk panda at heart, when he's not gaming, he can be found trying to put power chords in an innovative new order. I actually never played it, any of the Borderlands for that matter. Maybe I'll pick it up some time, I'm not a big graphics person but they've always put me off this game. Did they iron out most of the bugs from the ps3 version? Platinumed this back in the day. Looks like they've put a lot of work in, which is pretty cool. Bit odd for it to be launching this late, though. @get2sammyb Whos your favorite character sammy? @Amusei save your money for Borderlands the Handsome collection. Jump straight to B2. Whatever lore info you need from B1 can be acquired on YouTube and B2 is a better game to dive into before B3 comes out. You'll get the presequel as well in the package. My mate came home from work today, chatting in a party when he suddenly yelled out "Borderlands 1 is on the store!" To which I tell "what? Already! Holy fudge Buying!" Picked the Siren instead of Mordecai this time, having a blast with it! Fantastic game. Have spent a few hours on it so far and am now lvl 11. Personally I think a 7 is a little on the harsh side. I'd stick this game with the life improvements at a solid 8 or 9. Looks the business too. I'll try it again next year. I remember playing this for a few hours with a friend years ago, and thought it was one of the most boring games I'd ever had to sit through. I could not wait so started playing on my PS3. The only question now is should i continue or purchase the remaster? @Neolit Alright, thnx, I'll keep that in mind. I was never into FPS games at the time but loved Borderlands. I'll be most definitely picking this up at some point. Never played it, as FPS give me motion sickness, but I absolutely loved everything about Tales from the Borderlands. Quality games with a tongue in cheek humour running right through it. One of the few series that I am happy to put the grind into. Love picking up a random gun that has great stats only to find it makes annoying comments whenever fired making it damn near unusable! I'd rate it high above a 7, this is a 9 for me and I think it has aged disgracefully - but in a good way!